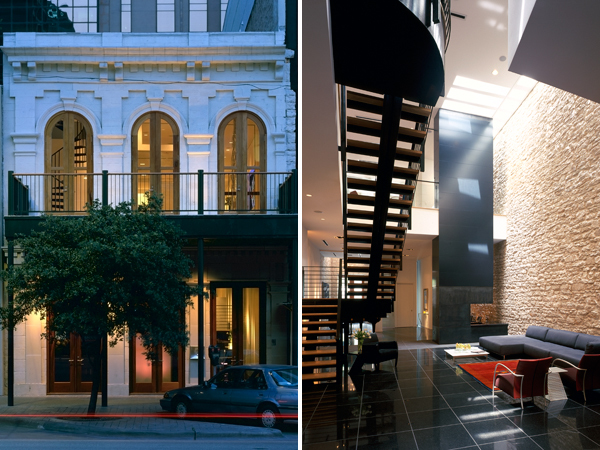 Located in downtown Austin this historical renovation overlooks Congress Avenue just three blocks from the Capital and is considered one of the first “Brownstones” of the community. After discussing the owner’s requests, we realized the need to allow for large formal gatherings, but still allow for the residence to feel like a home. We were eager to preserve the original building, as seen in the façade and interior masonry. Each of the side walls are 160’ wide by 30’ high. Layers of exterior spaces, entry courtyard, Congress balcony, roof deck and back courtyard, allow the living spaces to be buffered from city noises. Finished with oak wood, Brazilian black granite and rubble limestone flooring the home offers a polished impression. Natural lighting is brought in by long thin skylights on the northern edge of the building. 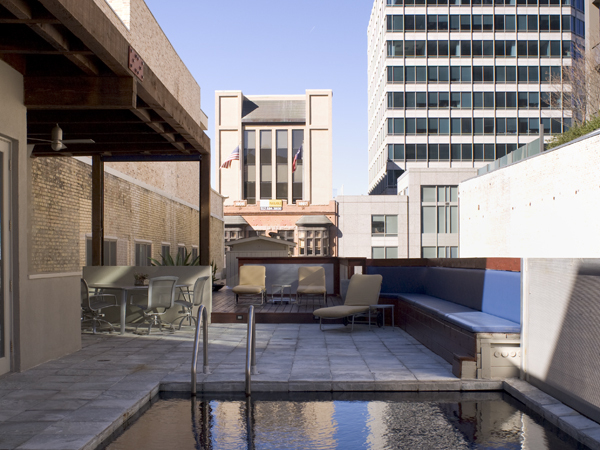 The structure was reinforced to support a new rooftop pool and deck.